The girls' decision to talk to the police is interrupted by a message from A, who threatens to make it seem like the girls always knew that Alison was alive. Unable to confess their involvement, the girls end up avoiding Alison altogether. 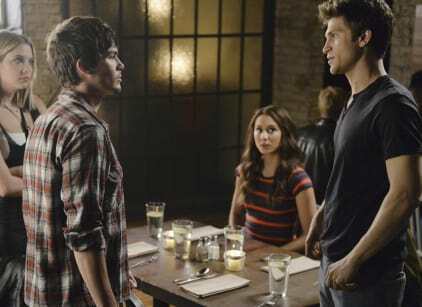 Emily investigates Ali's relationship to Cyrus with Ezra, and she finds an incriminating photo of the two of them together. Spencer gets a video from Melissa wherein she confesses that she thought Spencer killed Alison and buried Bethany's body by mistake. Meanwhile, Tanner begins pressing the girls to find a connection between them and Bethany. Tanner also tells Aria's dad that she knows Aria is hiding something, and she claims one of the girls is coming forward to tell the truth finally. Emily, Aria, and Spencer all assume its Alison and try to think of a way to stop her.